"From the critically acclaimed author of Lies We Tell Ourselves comes an emotional, empowering story of what happens when love isn't enough to conquer all. While Toni worries that Gretchen, who is not trans, just won't understand what is going on, Gretchen begins to wonder where she fits in Toni's life. As distance and Toni's shifting gender identity begins to wear on their relationship, the couple must decide—have they grown apart for good, or is love enough to keep them together? " Thoughts: WHAT WE LEFT BEHIND is a diverse coming of age novel about two people trying to figure out where they belong in this crazy world. This novel brought back so many nostalgic moments for me- What's it like leaving for college and home for the first time, what it was like being on my own, and how scary that can be. Not everyone, but I feel like most people change and start beginning to piece together who they are and will ultimately become those first two years of college. Imagine doing all those things and on top of that, being confused about whether you're meant to be who you were or someone different. Now, I must admit, I have mixed emotions about this novel. It was a very difficult read for me, and not because of the subject matter. No, the gender identity-genderqueer theme was what originally drew me to WHAT WE LEFT BEHIND. I love diverse books and wish there were more out there. No, what irritated me, if I'm being honest, is Toni as an overall person. The novel is split between both her and Gretchen's point of view. Toni came off as pretentious, and I felt like she spent the majority of the novel preaching and educating us, the reader, about what it's like being genderqueer. That's great, and yes, more people should enlighten others, help them understand what it's like. The only thing is, when Toni did this, it felt like being in a classroom listening to a monotone professor go on and on, and even though you're interested in the subject matter, you can't help but feel slightly bored at the way it's being explained. Toni's point of view started feeling like I was reading a non-fiction documentary instead of a fictional novel. Top all of the off with a somewhat narcissistic character, and that pretty much rounds up Toni. I understand that she's confused and that she's going through a lot, but gosh...she was just kind of a jerk sometimes, right? She's just too judgmental for my taste, and yes everyone has flaws, but I simply did not like her as a person. I can't be alone in thinking this. Maybe my feelings for Toni are clouded, because I continually felt bad for Gretchen. She deserved better than her. You, the reader, know going in that this isn't a love story that would end well. There will be heartache, and it will most certainly be a difficult read. It's sad, yet you have to accept that people change and grow apart. Sometimes high school sweethearts last, but it's rare (and beautiful when it does). Towards the end, I kept prepping myself for the ultimate break-up, waiting for them to just tear the band-aid off. Are they really going to try to make it work or will they call a quits? When the defining scene came, instead of grief or bitterness, I felt incredibly touched. Weirdly enough, that was my favorite scene in this novel. It was wonderfully written, and I truly felt touched by both of these characters. These are two people I will not be forgetting anytime soon. 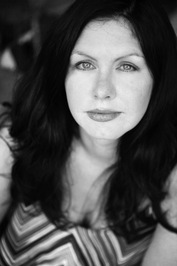 About the author: Robin Talley, author of Lies We Tell Ourselves (September 2014) and What We Left Behind (October 2015), grew up in Roanoke, Virginia. A Lambda Literary Fellow, Robin now lives in Washington, D.C., with her wife, plus an antisocial cat and a goofy hound dog. When Robin’s not writing, she’s often planning communication strategies at organizations fighting for equal rights and social justice. You can find her on the web at www.robintalley.com or on Twitter at @robin_talley. 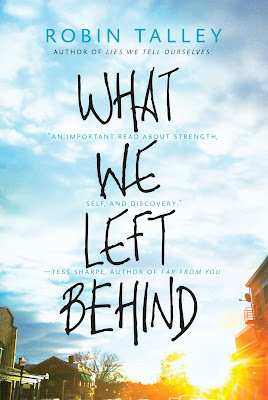 Giveaway: The fabulous people at Harlequin Teen are giving away 3 finished copies of WHAT WE LEFT BEHIND. To enter, all you have to do is fill out the Rafflecopter form below. Special thanks to the fabulous Hannah from Irish Banana Tours for organizing this amazing tour. 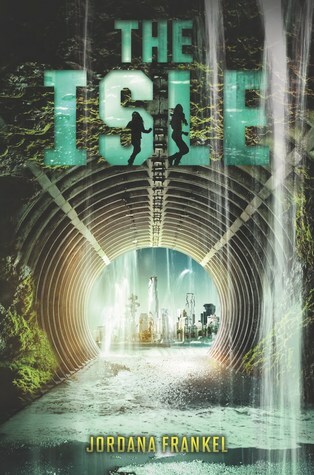 "Thirteen-year-old Stewart is academically brilliant but socially clueless. They are complete opposites. And yet, they have one thing in common: they—like everyone else—are made of molecules." 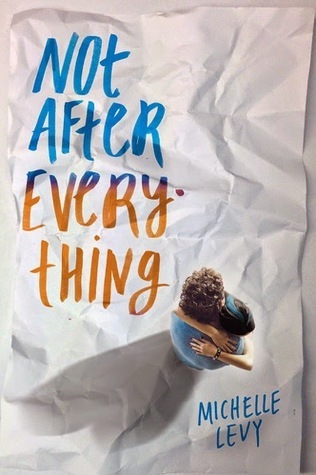 Review: You guys, this a beautifully written, wonderfully crafted coming of age novel about loss, love, family, hope, and more. . It says something when a book brings tears to your eyes, and you're only in the first chapter. 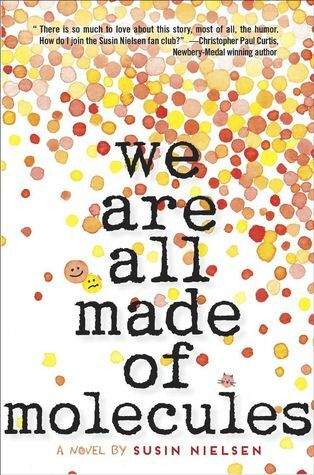 WE ARE ALL MADE OF MOLECULES is an incredibly touching novel, and though I knew it was going to be good, I wasn't expecting how crazy good it really is. Thank you, Susin, for exceeding my expectations! 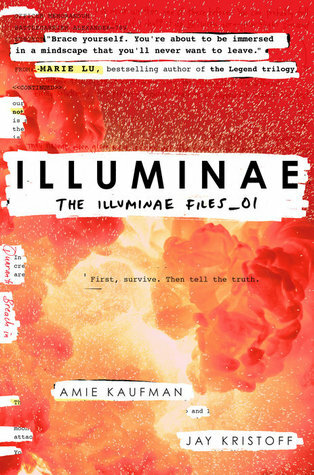 First off, I absolutely loved that the novel was told in dual points of views and how the author depicted them. Both Ashley and Stewart were realistic (flaws and all! ), and so were the situations they dealt with (death of a parent, a gay father, etc.). Poor Ashley is stuck between being who everyone wants her to be and yearning to be herself. In the beginning, I wasn't sure if I'd like Ashley. There were times where I thought she was downright cruel to Stewart and became increasingly irritated with her overall bratty nature. Once I started realizing her own struggles, I began opening my heart out to her and am glad I did. Then you have Stewart, Sweet Stewart, who lost his mother and is coping with being the smart yet "dorky" kid at school. He's brilliant but doesn't know how to talk or really be around another people. He's going through this awkward time period, and life just keeps handing him lemons. Together, I felt like the both of them, even though they had a rocky start, grew so much in such a short period of time. I honestly didn't know if they'd make their new family situation work, and believe me, it was work for them. It's amazing certain circumstances can completely change the course of someone's life. Would I recommend this novel? Of course! It's heartfelt and just overall extraordinary book about the different types of families out there and adapting as you go. Giveaway: Thanks to the amazing people at Penguin Random House, I am giving away one copy of WE ARE ALL MADE OF MOLECULES. This giveaway is only open to US participants and ends November 1st. 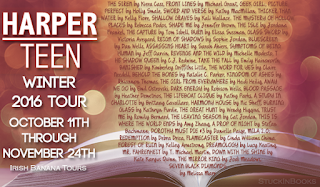 Welcome, welcome, to the next stop in the First & Then Superlatives Blog Tour. 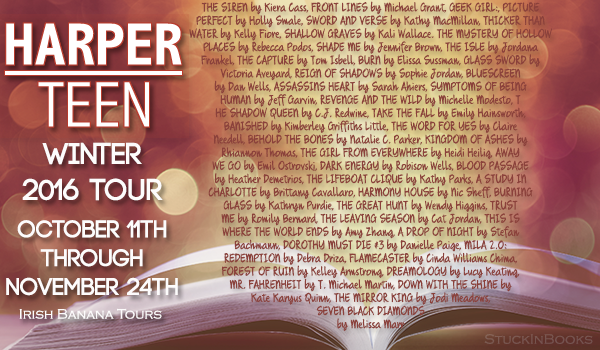 I'm so excited to be a part of this tour, because (to be honest) FIRST & THEN is probably my favorite Swoons book thus far. Expect a glowing review soon. 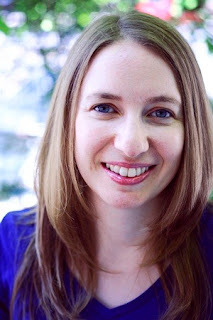 In the mean time, I have the very awesome Emma Mills, author of FIRST & THEN, to discuss Devon and a certain fictional character. If Devon could pick anyone in literature to be her sibling, who would it be and why? I would love for Devon to have a sister! If I could pick anyone in literature, I’d have to go with Jane from Pride and Prejudice. Jane has such a naturally sweet disposition that might help to ground Devon a bit. Devon is pragmatic, and can be a bit negative, while Jane is so loving and inclined to see the best in people; I think they’d balance each other out very well! GREAT answer! I, too, think they'd balance each other out well! "Devon Tennyson wouldn't change a thing. She's happy watching Friday night games from the bleachers, silently crushing on best friend Cas, and blissfully ignoring the future after high school. But the universe has other plans. It delivers Devon's cousin Foster, an unrepentant social outlier with a surprising talent for football, and the obnoxiously superior and maddeningly attractive star running back, Ezra, right where she doesn't want them first into her P.E. class and then into every other aspect of her life. Pride and Prejudice meets Friday Night Lights in this contemporary novel about falling in love with the unexpected boy, with a new brother, and with yourself. " 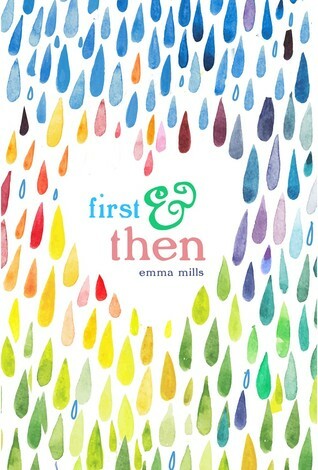 Giveaway: Thanks to the fabulous people at Swoon Reads, I am giving away one copy of FIRST & THEN. This giveaway is only open to US participants and ends October 31st (boo, muhahahaha, etc.). Good luck, and may the odds be ever in your favor. 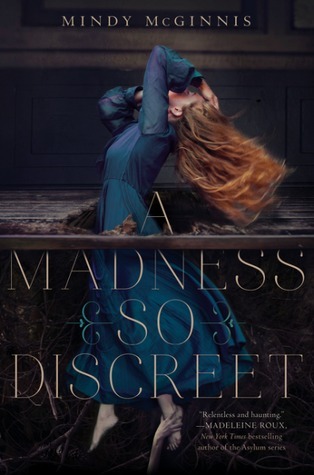 Welcome, welcome, to the next stop in the A Madness So Discreet Blog Tour. I actually met Mindy a year or so ago during one of Harper's fall tours. Let me tell you guys, she is both brilliant and hilarious, and her books reflect both of these things (maybe more brilliant and not as much hilarious). Anywho, let's talk about the book! Now, it's time for Mindy's Top 10 Horror Flicks/Books. It is, after all, that time of year, oui? Great list, Mindy, and thank you so much for sharing this with us! I've personally have seen Event Horizon, and it was definitely the scariest movie I have ever seen. No, all of the noes, haha. GIVEAWAY: One winner will receive a Harper Teen horror themed prize pack! This giveaway is only open to US participants. Good luck, and don't let the bed bugs bite! Greetings, beautiful bookish people! 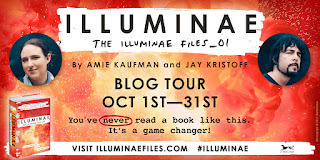 Happy Saturday, and welcome to the next stop in the ILLUMINAE blog tour. Thanks to the fabulous people at Penguin Random House, I am giving away a copy of this special book to one lucky winner. Haven't heard of it? Have you been living under a rock? Just kidding, but seriously, let's remedy this! "This morning, Kady thought breaking up with Ezra was the hardest thing she’d have to do. Giveaway time! To enter all you have to do is fill the Rafflecopter form below. This giveaway is only open to US and CA participants and ends October 25th. Good luck, and may the odds be ever in your favor.